These interesting words were found in Robin Hobb's Dragon Keeper. humidor: an airtight container for keeping cigars or tobacco moist. 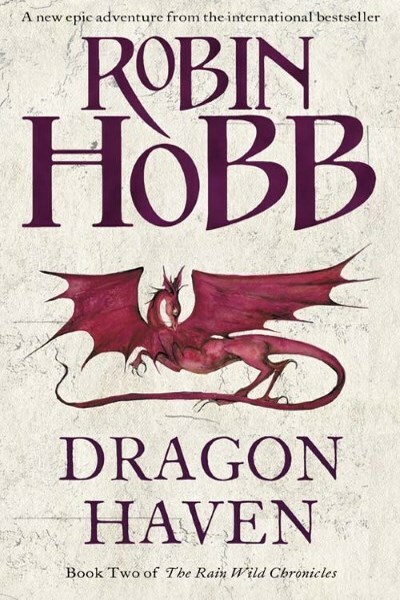 The Dragon Keeper by Robin Hobb is the first volume in the Rain Wilds Chronicles, a two part series that takes place after events told in the Liveship Traders books. Dragon Keeper was (briefly) a free giveaway in Kindle format from Amazon. That's how I obtained my copy. I've mostly had good luck with Hobb. I really enjoyed both the Farseer and Soldier Son trilogies, but had some issues with the first novel in the Liveship Traders series. 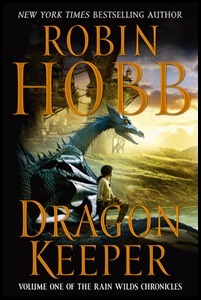 Ultimately, I never finished that series, though after having read Dragon Keeper I might be willing to give it another try. That being said, while Dragon Keeper is in some ways a continuation of the ongoing saga told in the Liveship books, it is the start of an entirely new story. There are some familiar names and faces here, but they're merely mentioned or, in the case of Althea and Brashen, appear as secondary characters. The overarching story of the Rain Wilds Chronicles is that of a host of dragons who emerge from their cocoons underdeveloped. 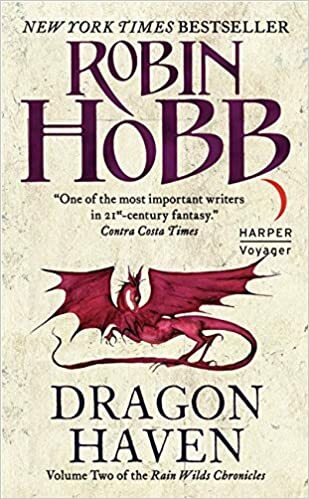 While the dragons of Hobb's world inherit the memories of their ancestors, these dragons are physically handicapped: their wings are stunted, their legs too short, their bodies undernourished. Forced to rely on their human tenders and dwell in a place where they are increasingly unwelcome, they decide as a group to travel upriver to seek out an ancient Elderling city that they all remember from memories past. Though they know the journey will be fraught with danger, they decide it is better to die trying than to remain where they are. Because the dragons made a bargain with the folk of the River Wilds, they do not venture out alone. With them go the dragon keepers, malcontents and misfits chosen by the city council because they, like the dragons, are no longer wanted. The principal character amongst them is Thymara, a sixteen year old who, though born "marked" by the Rain Wild, was spared death by exposure by her father. The other keepers are a varied ensemble, with some who have definite designs of their own that go far beyond merely assisting and tending their dragons. Also, there is Alise, a woman obsessed with dragon lore. She has amassed the single, largest repository of dragon knowledge and is given the chance to add to it when the opportunity arises for her to visit the dragons. Little does she know that they are just planning their expedition, and so, as one might expect, she winds up joining them. Rounding out the cast is Leftrin, a likeable riverboat captain, and Sedric, Alise's oldest friend who wants nothing but the best for Alise, but who has certain nefarious motivations of his own. I liked Dragon Keeper. While the cast of characters somewhat resembled that of Ship of Magic, where I found the majority of those characters unlikeable, these possess much greater depth and, for me, were easier to enjoy. 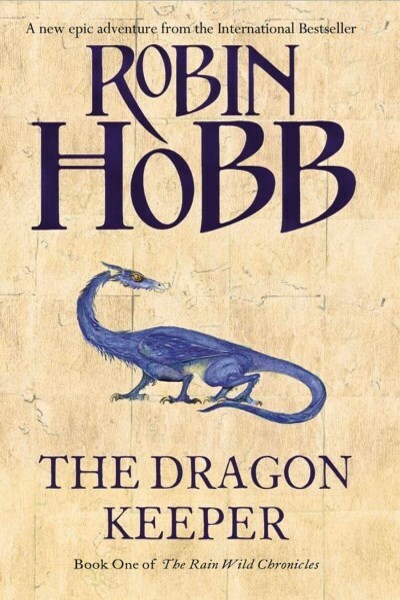 While the novel begins with multiple storylines, it's easy to see that soon they all will coalesce into the journey the dragons intend to undertake. As a reader, I never felt I was getting bogged down with too much back story or being sent off on tangents that were either dead-ends or had nothing to do with the main plot. Everything fits here and Hobb keeps things moving along smoothly. She tells just enough to give you the characters' back-stories but not so much you feel compelled to start skipping pages. That being said, the only thing holding me back from purchasing the next book in the series, Dragon Haven , is the Kindle price. It's not available in paperback yet, and I've never been one for hardcovers. It'd be nice if publishers would give it up already and just sell the electronic versions at a reasonable price, but that's not to be. Not right now, anyway. The Kindle edition of Dragon Haven sells for $14.99. Fortunately, my reading pile is never small, and so I can wait for it to come down in price. Take that, Big 6 Publishers. Meanwhile, though, The Dragon Keeper is well worth your time. I’d recommend you check it out.